TORONTO RANGE: This modern comtemporary range is available in Light Natural Wash and has a large selection of accessories to choose from. TORONTO RANGE: This range has a selection of accessories and two size sofas to choose from, complementing this comtemporary range is a side table, coffee table, ottoman, entertainment unit and sideboard which enhances the functionality of this range. Also available within this range is a matching dining set for the larger room environment. 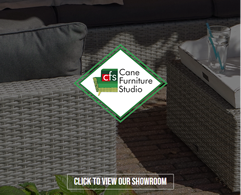 Also the Toronto range offers a modular suite offering several corner configurations, easily extendable with the availability of left, right and chairs and sofas with a central extension module and a unique half moon footstool which doubles up as an ottoman which gives the look of a chaise longue.